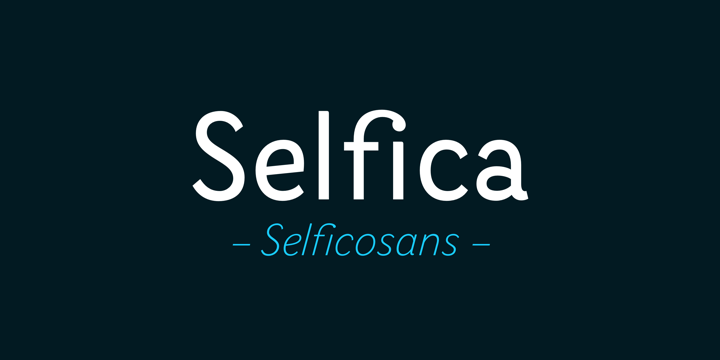 Selfica is known to be the sans-serif version of the Selfico. It is crafted by Nico Inosanto in 2012. The fonts have a semi-condensed geometric appearance and preserve a little distinction with the Selfico. The ligatures help in making an original and highly artistic design. The range of weights ensures the best of flexibility for texts and titles. The main USP of the font is its unique «g» from the original Selfico. It is available as stylistic alternate. The typeface comprises of 14 styles family and has an extended characters set to support European languages.